Is Mystic Cody Garbrandt now going to have to be a thing? 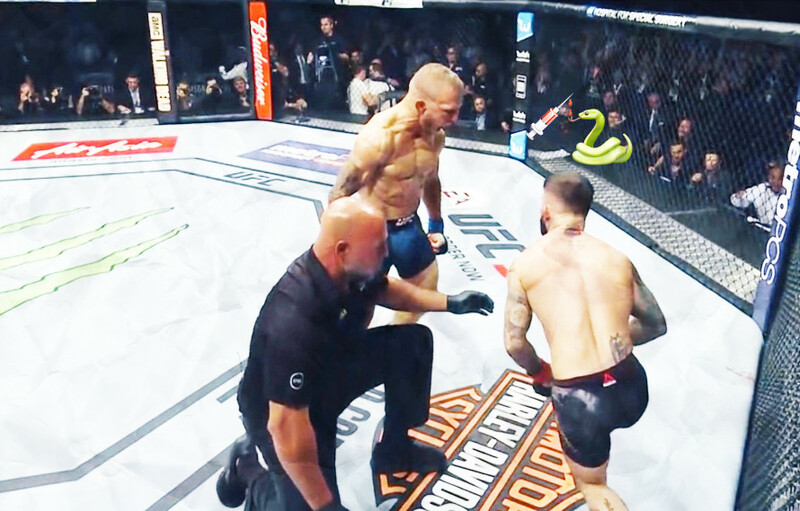 T.J. Dillashaw got caught with his pants down today (Mar. 20) and is now trying his best to get ahead of the story. USADA busted Dillashaw and rather than wait for it all to play out, the UFC’s bantamweight champion just punted on his belt. Yup, TJ forfeited his UFC 135 pound title before USADA could even release a statement. Clearly something an innocent, rational man would do. It’s 2019 and nothing in MMA should surprise anyone at this point. When it comes to PEDs make it double. Users will always been one step ahead of testers, it just so happens that T.J. Dillashaw is the next one to get caught. Is TJ a lone wolf? The only current UFC champion to use PEDs as a way to aid his rise to the title? Probably not. Pick an UFC champion’s name out of a hat and if you told MiddleEasy they were on PEDs, it sounds believable. A case can be made against anyone and that’s just the nature of our cage fighting game. It’s only cheating if you get caught and today TJ got caught. If only the MMA world listed to Garbrandt in the build up to UFC 217. Way back in 2017, before their first fight Garbrandt was accusing Dillashaw of roids and most people didn’t listen. Wait, did Cody just admit he and everyone else at Team Alpha Male is taking PEDs to? LOL 100% MMA.